You don't always need an elaborate story to enjoy a game. Sometimes just want to tune out for a minute. In that case, allow me to introduce A Game About Bouncing. 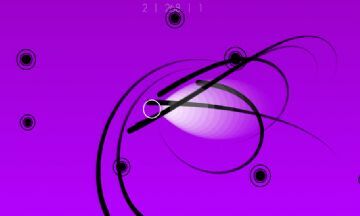 You control a ball and need to bounce off other balls while avoiding ball-seeking missiles. Once you start getting into it, it's actually a little hypnotic.